Although we would love to have customers all around the world, we currently serve only businesses customers, schools and public sector accounts located in California, within our four county area. 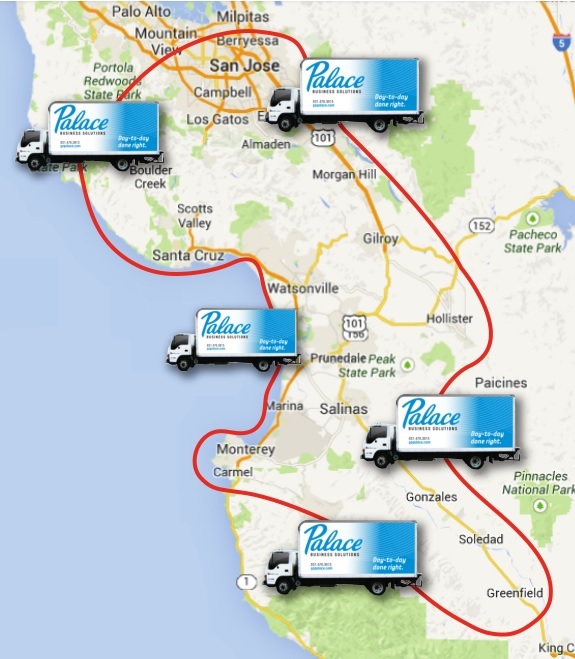 So, if you have a business, school or public sector office in Santa Cruz, Monterey, San Benito or Santa Clara County please send us an e-mail so we can setup your account and begin experiencing the Palace difference of day to day done right. You will be notified within one business day that your account has been activated. To all those who have found us from across the USA and world — thanks for thinking of Palace. Who knows, maybe one day we will be able to help you too. Until then, please contact your local, independent office, furniture or art supply dealer.